Turkey imported more than 808 million cubic meters of natural gas from Azerbaijan in January 2019. According to Turkey's Energy Market Regulatory Authority (EMRA) report, Turkey's gas imports from Azerbaijan increased by more than 214 million cubic meters (36 percent) compared to the same month of the previous year. In January, Turkey's natural gas imports decreased by 6.54 percent to 5.810 billioncubic meters. The volume of natural gas supplies through pipelines amounted to 3.470 billion cubic meters, LNG - 2.340 billion cubic meters. During the reporting period, Azerbaijani gas accounted for 13.91 percent of total imports of Turkey. Azerbaijan was the third largest gas supplier to Turkey, being only behind Russia (1.83 billion cubic meters) and Iran (824 million cubic meters). The remaining volumes are accounted for Algeria, Nigeria, U.S., Qatar, Egypt, Equatorial Guinea. Turkey imports natural gas from Azerbaijan via the South Caucasus Pipeline (Baku-Tbilisi-Erzurum) and Trans-Anatolian Natural Gas Pipeline (TANAP). The South Caucasus Pipeline commissioned at the end of 2006 is currently supplying Shahdeniz gas to Azerbaijan, Georgia and Turkey. Azerbaijani gas exports to Turkey reached 7.5 billion cubic meters last year. TANAP, along with TAP, is a part of Southern Gas Corridor project that envisages transportation of gas from Azerbaijani Shah Deniz-2 gas field to European markets. TANAP gas pipeline was put into operation on June 12 2018 in Eskisehir, Turkey. The first gas transportation to Turkey started on 30 June. So far, TANAP has transported about 800 million cubic meters of Shah Deniz gas to Turkey. 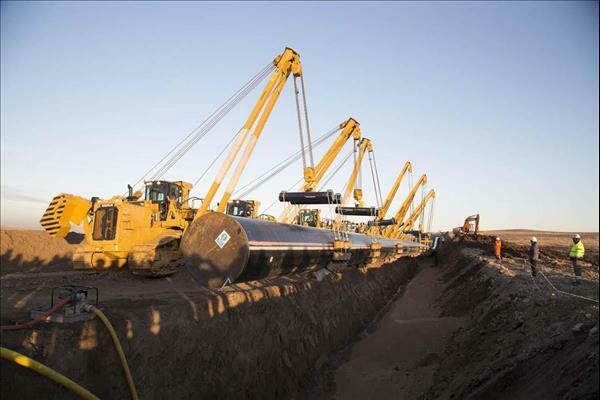 TANAP will transport 2 billion cubic meters in 2019 to Turkey, 4 billion cubic meters in 2020, and 6 billion cubic meters of natural gas will be transported in 2021. Turkey is a partner in many strategic projects of Azerbaijan. Turkey was the first state to recognize Azerbaijan's independence in 1991 and has been a staunch supporter of Azerbaijan in its efforts to consolidate its independence, preserve its territorial integrity and realize its economic potential arising from the rich natural resources of the Caspian Sea. Every year, trade and economic cooperation between Azerbaijan and Turkey diversifies and covers new areas. Both countries are interested in the maximum expansion of relations. Two countries have gained good experience in the implementation of large-scale projects of international importance, which are well known in the region and the world such as Baku-Tbilisi-Ceyhan oil pipeline, the Baku-Tbilisi-Erzurum gas pipeline, TANAP, the Southern Gas Corridor and the Baku-Tbilisi-Kars railway. Turkey and Azerbaijan, both effectively use their economic and energy capabilities, as well as the geopolitical position to expand bilateral and regional cooperation. All projects initiated by Azerbaijan and Turkey are implemented successfully and serve further development and well-being of two nations.